Experience the Black Hills on this 6.5-hour Mt. Rushmore National Memorial tour. Enjoy lunch at the famed Carver’s Café, located at Mt. Rushmore. 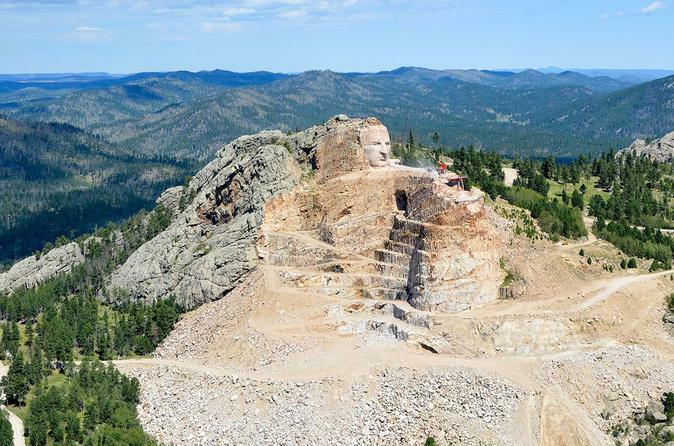 See Crazy Horse Memorial, the largest mountain craving in the Black Hills. Travel the captivating Iron Mountain Road. Visit Custer State Park with its pigtail bridges, magnificent Black Hills scenery, and tunnels that frame Mt. Rushmore in the distance. 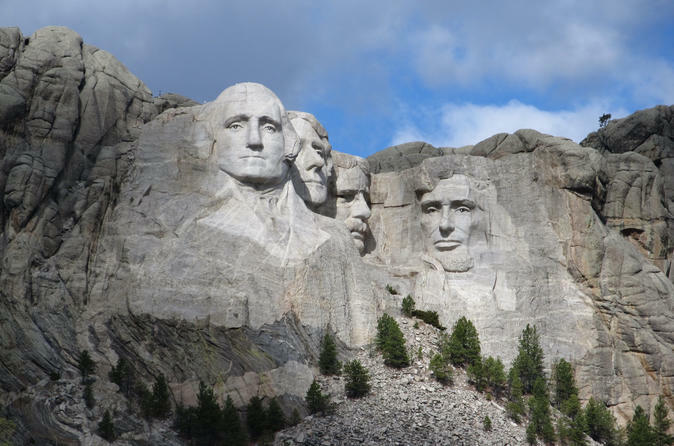 The Black Hills is world famous for it's mountain carvings, and even better when you experience them in the luxury and comfort of a stretch limousine! After pickup at your home, campground or hotel within the city limits of Rapid City, you'll make your way to the historical town of Keystone for a brief stop and shop. Then, journey to our nation's "Shrine of Democracy", Mt. Rushmore National Memorial, where you'll experience the patriotic history of this iconic sculpture. Then it's off to the world's largest mountain carving in progress, the fantastic Crazy Horse Memorial. Spend some time in the vast museum, and spend a little time in the renowned gift shop. Next, depart for the "Heart of the Hills", Hill City, famous for it's art galleries and gift shops. The serrated spires, weather-beaten buttes and cavernous gorges of the North Unit of the Badlands National Park offer unique scenery. It's home to a diverse variety of wildlife; prairie dogs, coyote, deer, bighorn sheep and antelope. You will stop at the Ben Reifel Center (museum), the famous Wall Drug Store (famous old tourist trap that is worth the stop) and visit the new Minuteman National Historic Site. Remember "Duck and Cover." The Black Hills has become home to a many excellent wineries over the last decade. 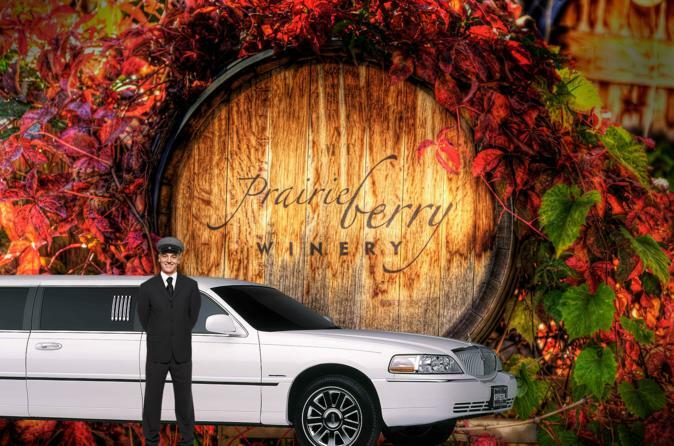 This stretch limousine tour is a great way to visit some of South Dakota's most popular and well reviewed wine producers. During this 5 hour limousine tour you will have the option to see The Stone Faces Winery, The Naked Winery and The Prairie Berry Winery. 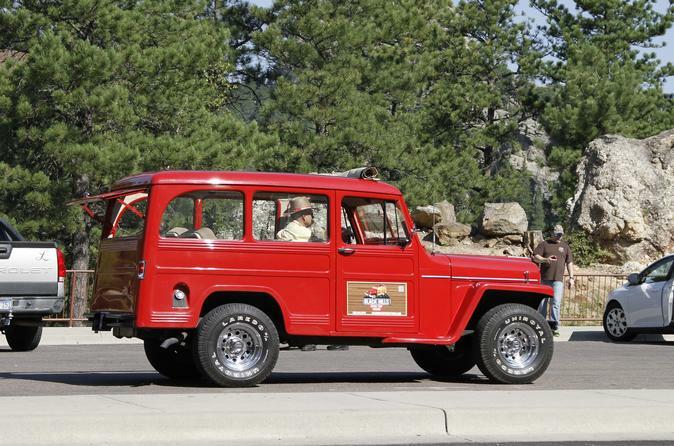 Take a ride from South Dakota to the beautiful state of Wyoming. 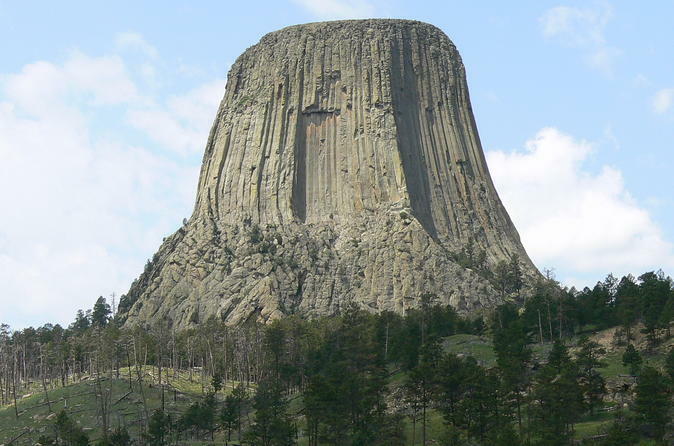 The tour starts at 9:00am and takes you to the wonderful views of Devils Tower in Wyoming, with stops at the gift shops at Devils Tower to get that special shirt or item to take home. Then you will head back to South Dakota for a tour of Sturgis, the motorcycle city. Lunch is provided with the tour. You will visit several great Ma and Pa stops to enjoy home cooked meals. 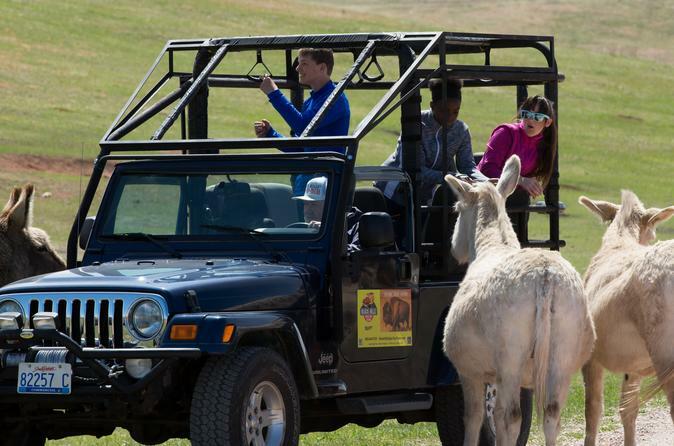 Hop in a safari Jeep with your driver/guide and depart on an exciting and adventurous 6- to 7-hour tour through Custer State Park. Checkout Mt. Coolidge, Iron Mountain Road, Needles Highway, and Sylvan Lake. Enjoy a picnic lunch and take advantage of the multiple photo opportunities. Your small-group tour is capped at 7 travelers to ensure personal service. Depart Deadwood for an 8-hour tour to Keystone, Mt. Rushmore National Memorial, the Crazy Horse Memorial, and Hill City. Your guide will share the history and stories of the area as you explore with a small group limited to 8 travelers. This tour includes hotel pickup and drop-off, snacks, and transport by stretch limousine. 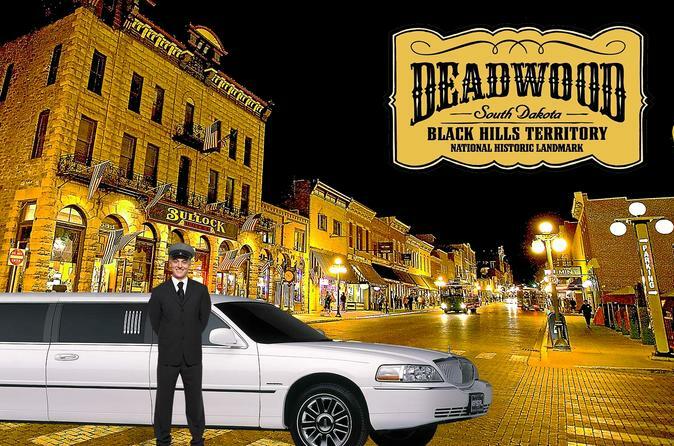 This 7 hour tour departs from Rapid City at 4:00pm for a scenic drive to Deadwood, where you'll stop at the popular Days of '76 Museum and have the opportunity to walk around town and maybe try your luck at one of the many casinos in town. Next, the tour will visit the Silverado Casino. You will have the chance to explore the unique shops brimming with t-shirts and biker memorabilia as well as visit some local biker bars before heading back to Rapid City. Take a ride in a beautiful stretch limousine to the wonderful Badlands. 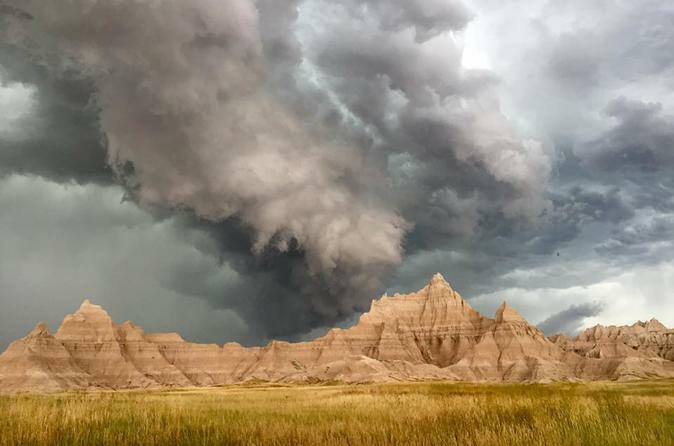 The serrated spires, weather-beaten buttes, and cavernous gorges of the North Unit of the Badlands National Park offer unique scenery. It's home to a diverse variety of wildlife; prairie dogs, coyotes, and antelope. You will also stop at the Ben Reifel Center, the famous Wall Drug Store, and visit the newest exhibit at the Minuteman National Historic Site, Cold War History. 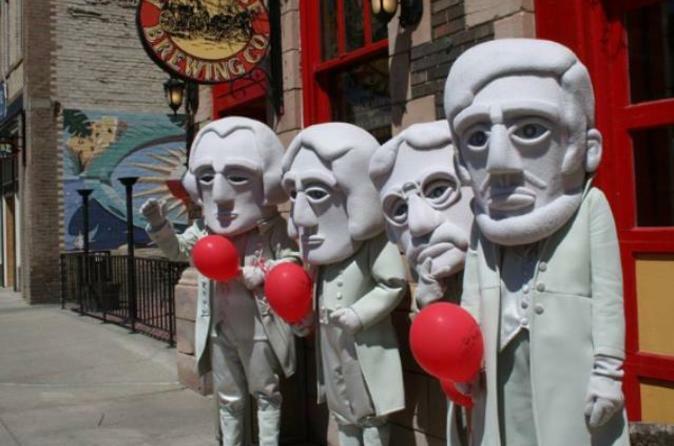 See Mt Rushmore under lights with this patriotic evening ceremony! 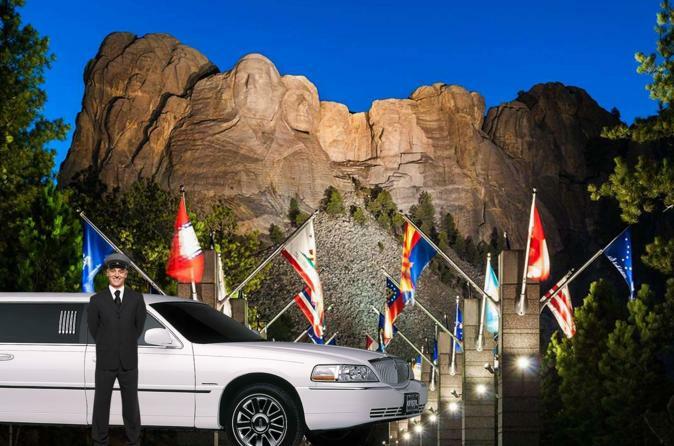 The Mt Rushmore Lighting Ceremony has been a "must see" event for visitors to the monument and now you can visit this unique presentation from the luxury and comfort of a stretch limousine. 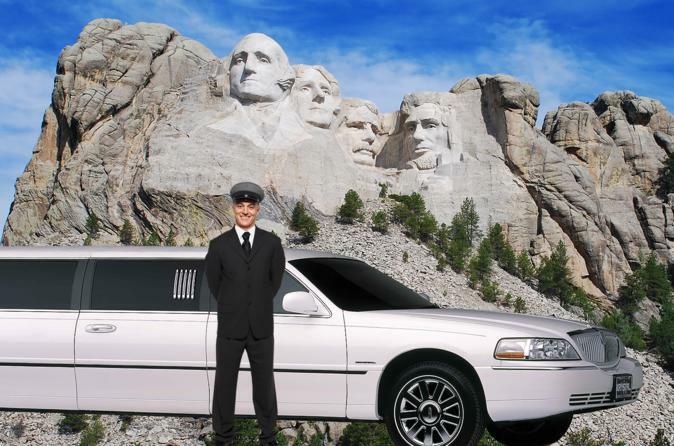 This four hour tour starts with a limousine picking you up from your home or hotel within the city limits of Rapid City. From there, you will take a scenic drive to the mountain, where you can experience the "Walk of Flags" to the outdoor amphitheater. Here you will have a brief introduction by a national park ranger followed by an inspirational film on the creation of this world famous sculpture. The ceremony concludes with the lighting of the faces. Take a wonderful ride with friends to see the Brew Trail of Rapid City and Sturgis and try the brews of the Hills. Have a beer in the stretch limousine and let someone else do the driving. Don't peddle yourself to the brewery. Take a beautiful limousine to the beer breweries.